At Luv R Blinds, we believe in going above and beyond, when it comes to taking care of the needs of our clients. Since 1992, we have been helping our local customers learn what they need to know, in order to make a good decision about their window treatments. If you are considering shades, shutters or window blinds for your residence, now is the time to get started. However, we can't take care of your service needs until you give us a call to set up your free consultation. This will give us the perfect opportunity to help you look over the options that you have available and then choose what will work best for your home and individual needs. Don't just settle for something or pay too much to get what you really want. By partnering with us, you can rest assured you will get the finest in workmanship, customer care, products and even pricing. Picking the right window dressings is about putting the finishing touches on your household; it converts your current house into your dream home. We are honored to be able to be a part of that. Here at Luv R Blinds, our shutter company wants to be your Claremont shutter company. 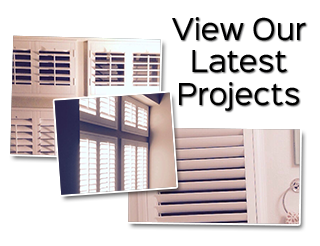 For many people who may have issues with breathing related health issues, shutters are usually the best choice. They do not tend to trap dust or other airborne contaminants, and are easy to clean with the simple swipe of a cloth. So if you or anyone in your household suffers from asthma or allergies, it would be a good idea to consider shutters. Maybe your priority is finding a window dressing that can help to better insulate the windows and, as a result, your entire home. In that case, although most window treatments offer some level of insulating, cellular shades are your best bet. They are actually designed with a honeycomb formation of air pockets that are meant to act as an insulating feature. This helps make your home more energy-efficient which lowers your utility costs and makes your house more environmentally responsible. How much natural light do you want? How about privacy? The window coverings that you choose will determine how much privacy and light control you have, so make your selections accordingly. Too often a homeowner picks a treatment, such as sheer curtains, based on appearance,forgetting they offer little security or ability to block out light. Don't make decisions that you will end up quickly regretting. Do you want motorization? If so, then something like shutters is out of the question. 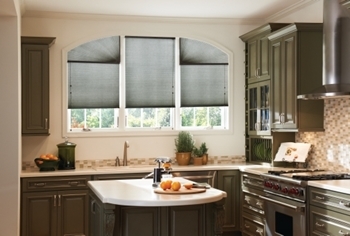 Motorization is the ultimate in convenience for using your window dressings. It enables you to adjust every window in every room, with the simple touch of a button. If you want to be able to adjust your window treatments right from your SmartPhone, then make certain that you pick a style that works with motorization. It probably comes as no surprise that Luv R Blinds is the number one service provider for window blinds. We take great pride in being able to offer our customers the best possible products for the finest in quality results. The window treatments that you end up with should be something that you can live with, and love, for years to come. We are focused on offering you the best possible customer experience, and that starts with setting up a time for your consultation. We will help educate you about the options available and ensure that you get exactly what you want. Don't settle for less than the best, or for less than what you really want when it comes to your window blinds. If you are looking for a window blinds, shutters and shades company in the Claremont, California area please call 951-736-9650 or complete our online request form.